First, the tide pools, also known as the Urchin Rocks, for reasons that will become obvious when you arrive. En route, stop at the kiosk (you’ll pass it and the new restroom facilities on your way). Check out the sketch on the back side to see examples of creatures you might encounter during low tide. The informational sign shows several creatures that I have yet to find, including nudibranchs and octopuses. Then follow the path towards the water and head to the rocks on the right. During the summer, a Beach Watcher will likely greet you. She is there to remind you to tread carefully on the rocks, which are covered with mostly small, often delicate creatures, and follow the rope path along the rocks to minimize damage to living things. barnacles, hermit crabs, chitons, mussels, dog whelks (a type of snail), puppet margarite snails and absolutely, positively: anemones! Look carefully, and you may also see tidepool sculpins (a type of fish), tubeworms, and orange ribbon worms. 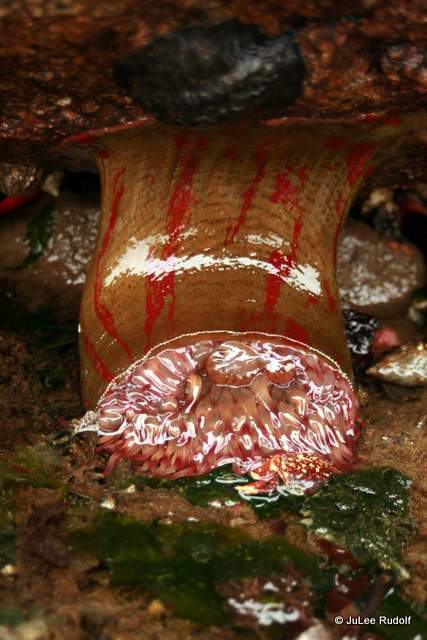 If the tide is especially low, so low that the bases of the larger rocks are exposed look there to find bright orange (with brown highlights) burrowing sea cucumbers and painted anemones. 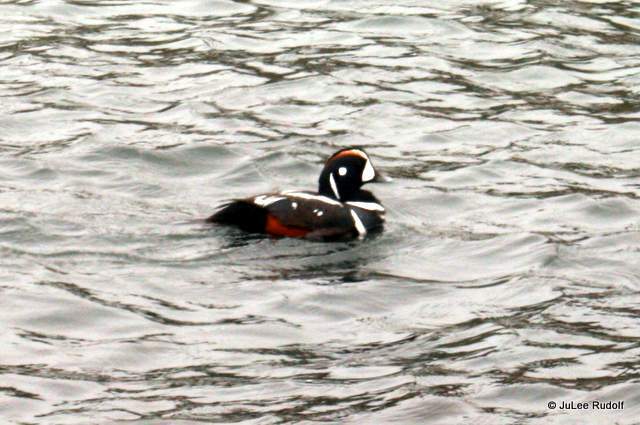 Pay attention to the waters and the skies and you will likely see birds, especially herons, osprey, bale eagles, common flickers, oyster catchers, hummingbirds and Harlequin ducks. Opposite the Urchin Rocks, you’ll find Sharpe Cove, complete with a small dock. Carefully lift rocks at low tide to see small crabs and other creatures. Be a good beach steward and just as carefully return rocks to their original positions before you go. When the tide is especially low, you might find exposed plumose anemones, burrowing sea cucumbers and/or species of urchins that you might not see in the tide pools. I once saw (and, I’d like to think…ahem…rescued from beaching itself) a Lion’s Mane jellyfish! 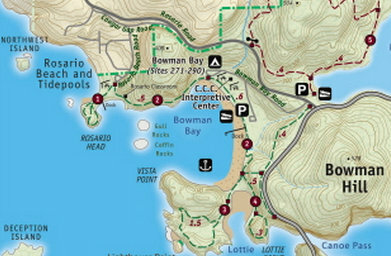 In the spring, you’ll find many species of wildflowers at Rosario Head. 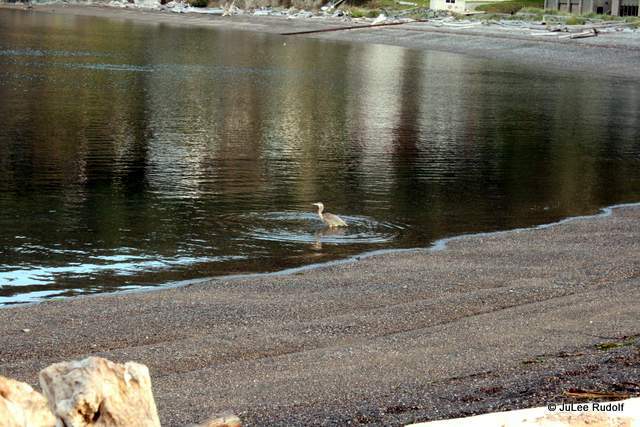 I’ve also had bird encounters and even one, from a distance, with a seal frolicking in the water. From Rosario Head, you can see West Beach, Deception Island, Northwest Island, Gull Rocks and Coffin Rocks. When you’ve had enough of the view (plan for this to take a while) and return to the large grassy field beyond the strip of land between the two bays on your way back to the parking lot, to the right you’ll see the trailhead for the half mile long Bowman Bay/Rosario Beach Trail that runs between these two areas of Deception Pass State Park, which I highly recommend. 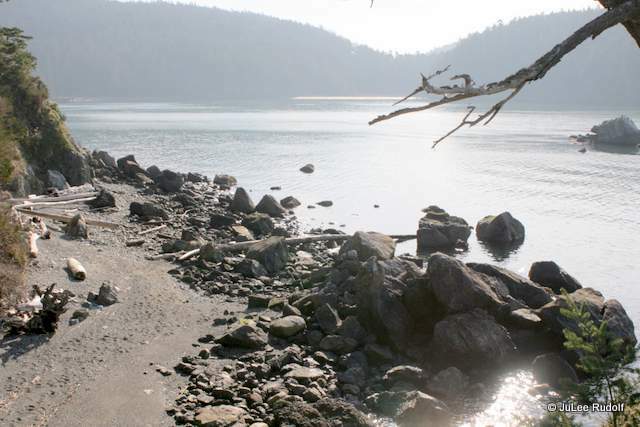 Rosario Beach is a great place to visit anytime, but especially during low tide. PS Movie fans might want to know that a significant scene from the movie Captain Fantastic starring Viggo Mortenson and scheduled for release later this year, was filmed at Rosario Head in September of 2014, “A father living in the forests of the Pacific Northwest with his six young kids tries to assimilate back into society.” Here’s a close-up of the actor (Deception Island is in the background). This second photo shows the filming crew too. Lovely recap of a lovely bit of the Pacific Northwest! Sally, Ah…you noticed. I feel kind of bad about doing that but I looked at the original post and it was totally lame. New stuff next time. Thanks so much for reading and reblogging!